Remember how I said I'd be in Yosemite for the week?! Well, I didn't want to leave you high and dry, so I lined up some AMAZING guest bloggers to drop some fantastic running wisdom for you. Get ready because first up is my girl Ivie! Ivie and I before the #RnRLV Half Marathon two weekends ago. Hi there! I’m Ivie and am super honored to be a guest blogger for Carlee. Let me give you some quick background about myself. I started running after I changed my diet with the goal to lose weight. Never in my life had I ever ran more than a 5k, so the logical thing to do was to register for the Tinker Bell Half Marathon (kidding, I realize that is NOT logical, but "go big or go home", right?). Knowing that I needed some help I began looking for a running group. You may have seen Carlee post tips from coach Jeff Galloway. And if you didn’t know, Jeff creates the official training plans for runDisney. 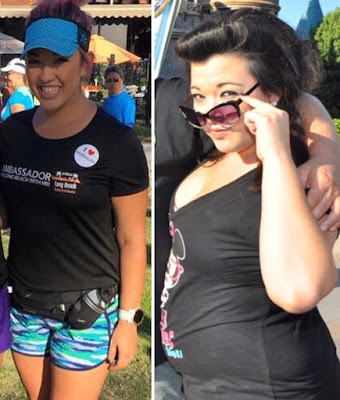 After registering for Tink, I was browsing runDisney, looking for information on where to start in my training and found that there was a Galloway running group IN my own town! Knowing that it'd be the right thing to do, I registered. Now, I’m not one to really do things on my own, so going to the first session solo was very painful. This is where I was told, “you will get faster by walking.” HUH? I remember going home and telling AJ that I joined this running group but I have no idea what they’re talking about, they told me to walk. It was in that moment that I made the decision to trust the process and see what could happen. 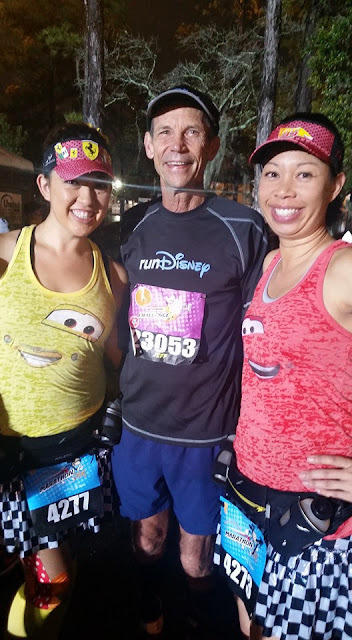 During select runDisney West Coast events, Jeff comes out to speak with us! The theory behind the Run-Walk-Run method is that you can get faster and have quicker recovery. By adding in the walk breaks you can fight fatigue and keep the same pace through the entire race (rather than hitting the dreaded 'wall'). The walk break helps interrupt the continuous use of the same muscles that you'd get from continuously running. 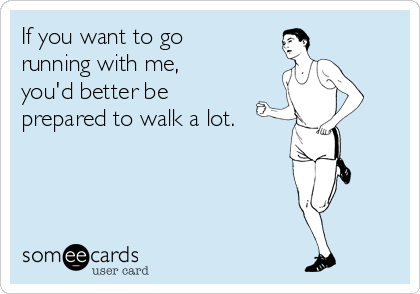 When I started running I did not set out to be a run walker. BUT because of how GREAT I felt while training for my first half marathon, I was SOLD on the idea. I remember mile 12 of my first half, having so much energy and running really hard into the finish line. I was able to pass SO many people and finish with energy and a smile. It was amazing. In fact, I felt so good, I immediately signed up for a marathon that would be 5 months after crossing my first finish line. I promise I was only crying happy tears! I had no pain but was so proud that I DID IT! The simplicity of this method is GREAT! You run for a set time, you walk for a set time, and you repeat. 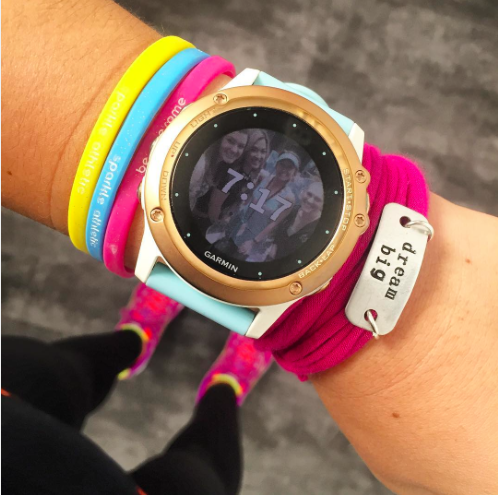 There are some great tools to help you do this like a Gym Boss timer or a built-in feature on many running watches like my Garmin. I love having the run/walk app on my Garmin! Following this method has been life changing for me. It makes me love most of my runs, recover faster after each race, and conquer crazy ideas like my 2016 goal of completing 12 marathons in 12 months (CIM, on December 4th, will be my twelfth full of the year). As strange as it sounds, I truly believe walking is a great place to start if you’re interested in checking out running (or even if you've been running for a while and would like an easier way to recover)! Who would have guessed that adding walk breaks can make you a faster runner?! Well, Jeff Galloway for one (and Ivie is a true believer as well)! I ran my second marathon using Run-Walk-Run intervals and can definitely vouch for it. PS If you don't follow Ivie on social media already, you totes should! PSS (or is it PPS?!) 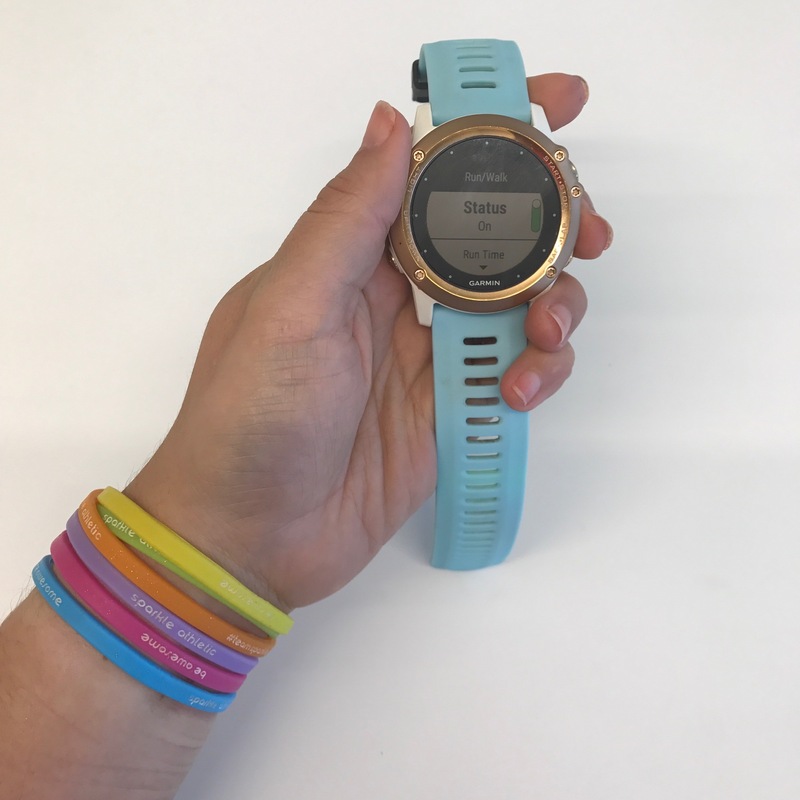 If you are interested in setting up run-walk intervals on your Garmin, Ivie will have a post on her blog to share the ease of making this happen (how convenient, right?!). Don't miss out on the step-by-step instructions! Have you ever thought of adding walk breaks into your running? If it wasn't for the Jeff Galloway method I wouldn't be the runner I am today. I used that method to get me through countless half marathons and my first two full marathons. Another a huge fan of the Galloway Method, too! I think it's a great way to stay injury free, and it encourages beginners to begin their running journey. I am running my first Half in April, and I'll definitely consider this method!